When searching for the best shampoo I have a few top priorities that are a must. First of all, I want a shampoo that is gentle and will not strip my hair or fade my color. Secondly, I want a shampoo that does not build up. Many volumizing shampoos coat the hair with a waxy film that, over time, leads to reduced shine and manageability. Last, but certainly not least, I prefer the most natural ingredients possible and will not use products that have been tested on animals. Keeping all of this criteria in mind, it can be a daunting task to find a great, natural shampoo that preserves color, while providing volume and shine without breaking my budget (or my hair!). I have tried several shampoos with varying degrees of success. 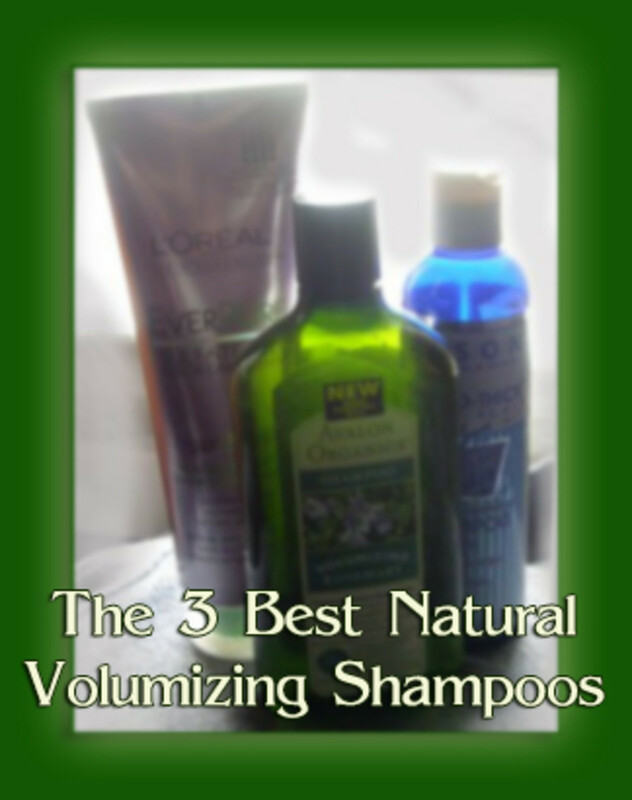 What follows are my 3 favorite natural shampoos. I have a lot of naturally wavy hair, but the strands are super fine. I do not use a lot of styling products and for that reason, my hair can quickly look limp and lifeless in the dry winter months and frizzy and out of control in the warm, humid summers. I prefer the natural look and I am often complimented for having beautiful hair. I credit this to minimal processing, however having the right shampoo also helps immensely. The best shampoos I have found are very reasonably priced compared to salon brands and can be purchased online to save even more money. I first discovered this shampoo quite by accident. A local grocery store was doing away with health/beauty products and had everything marked down 60% or more. I absolutely love Rosemary essential oil and I saw that this was an organic shampoo made with only genuine essential oils. 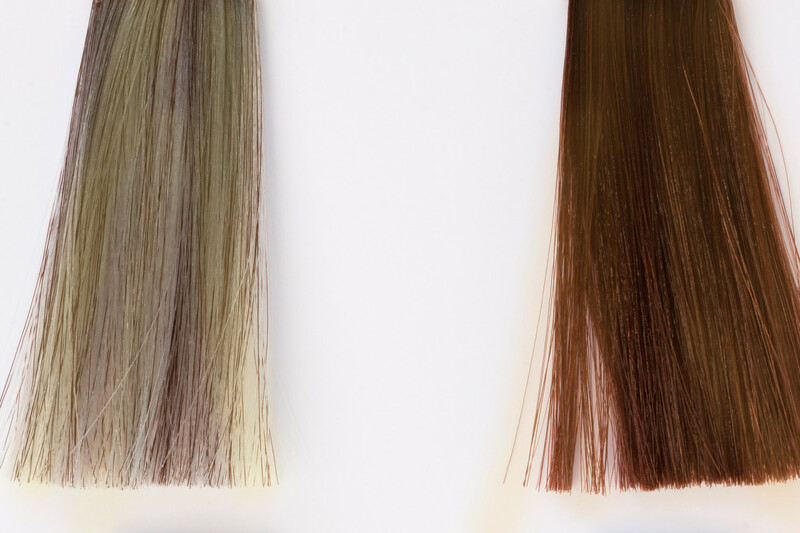 It had many good ingredients and did not have sulfates which strip the hair and fade color. I decided to try it and quickly fell in love. I ordered several more bottles because I loved how it worked on my hair. Pros: No parabens, artificial colors or fragrances. Each bottle has a minimum of 70% organic content and the fragrance is 100% essential oils (not synthetic fragrance oils like most shampoos). It is not tested on animals and is loaded with moisture rich ingredients like aloe extract, calendula oil, and glycerin. It has a wide array of essential oils and the blend makes the fragrance fabulous. It is very uplifting with the rosemary being dominant, but you'll also pick up the hints of other oils like Patchouli and Lavender. It makes the hair very soft and shiny and adds volume without any residues. Cons: To get the best price online you have to buy it in a 2 pack which ends up being around $15.00 (a good price) but still more than buying just a single bottle of other shampoos. A single bottle of this shampoo is nearly $10, so it's definitely best to buy it in the 2 pack. Other than that, I really can't think of any cons besides the wheat protein, which is only a con for those with wheat allergies. Purchase a 2-pack of this shampoo and save a lot of money. It's loaded with herbs like calendula which is healing and Ginkgo Biloba which stimulates circulation to the scalp and promotes healthy hair growth. It smells divine! I love to go to open air flea markets and one in particular has a vendor who always shows up with different organic and natural clearance items. I picked up my first bottle of this shampoo for under $2.00 which was a once in a lifetime deal. I really enjoyed this shampoo enough to pay full price for future bottles. The fragrance is nice. It is a bit strong and there are others I like better, but I love how this shampoo tingles as it cleans. It is very invigorating and does a great job of promoting circulation, which of course leads to healthier hair. The shampoo has a great list of ingredients, although not nearly as impressive as the Avalon Organics. I love that this shampoo has no lauryl or laureth sulfates in it, which are the chemicals in most shampoos that fade colors and strip the natural oils out of the hair. Of the three, it gave my hair the best bounce and fullness and it really invigorated the scalp. Pros: You can really feel the tingle on the scalp when you use this shampoo and I found it great as a therapeutic shampoo . The mint and rosemary essential oils are great for stimulating circulation in the scalp and you can really feel it working as you massage your scalp. This shampoo doesn't contain harsh ingredients and is not tested on animals. The ingredients are all plant-based and organic. It has a nice smell and leaves the hair feeling very soft and silky. It's hard to stop running your fingers through your hair after using this product. Cons: Initially, I was not a fan of the texture and lather of this shampoo. It does take some getting used to. The consistency is thick and almost glue-like and it seems to take quite a bit more of it to work up a decent lather. Of course, lather is pretty much all in our heads and you can certainly get very clean hair without the bubble explosion, but I love the feel of a good, soft lather.This shampoo does lather, but it has a heavier feel to it. This is the most expensive per bottle at just over $10 on average. The price, combined with the fact that you may be inclined to use more than you need, is a downside to this otherwise awesome product. This shampoo is very thick and luxurious. I love how it really clarifies the scalp and leaves your hair looking fuller, but still feeling light and bouncy. I think they have changed their formula just a bit, which means the lather is great and it's really sudsy. This shampoo is definitely not completely natural or organic, however, it does have some natural botanical ingredients including rosemary essential oil, which is excellent for adding body and volume to the hair. Most important is what this shampoo doesn't have – it contains no sulfates, salts, or other color fading ingredients. Also, this product is not tested on animals and the ingredients are 100% vegan. Pros: Wow does it lather well, a little bit goes a very long way and I use less of this product than any other shampoo I have ever tried. This means great value for the money. It has a nice squeeze tube type bottle and this design encourages less waste. It has rosemary and juniper oils in it which give it a fantastic scent. It gives my hair a lot of volume and there is no weight or buildup to it, my hair feels very clean after using this shampoo and my color hasn't faded while using it. Of the three listed this is the least expensive at only $5.50 or so per bottle and it can be found at most retailers. Cons: It does have paraben in it. There is a lot of debate around parabens and whether or not they are toxic enough to pose health hazards. I tend to avoid it when I can, but for the price this shampoo does an excellent job and meets many of my other criteria. The ingredients are not organic so not as high of quality as what is in the other shampoos. There are also not nearly as many natural ingredients in this shampoo as the others. I would suggest the other two over this one for quality, but you can't beat the price on this one for a sulfate free, truly gentle shampoo on a budget. If you are in the market for a gentle, natural shampoo that will give your hair volume without stripping the color I highly recommend trying one of these brands. Not only will your hair look, feel, and smell beautiful – you can rest easy knowing you purchased a hair product that was not tested on animals. On Amazon you can subscribe and save and it is an add-on item. If you are a Prime member, it means it ships free with a total order of $25. I love the smell of this shampoo with the rosemary and juniper oils. Have you used Sulfate free shampoos and what did you think? Tips and hints for how to grow longer, healthier hair faster, including nutrients, DIY recipes, hair product recommendations and other tips. Why spend a fortune on conditioners with all the extra added chemicals when it's super easy to make your own? 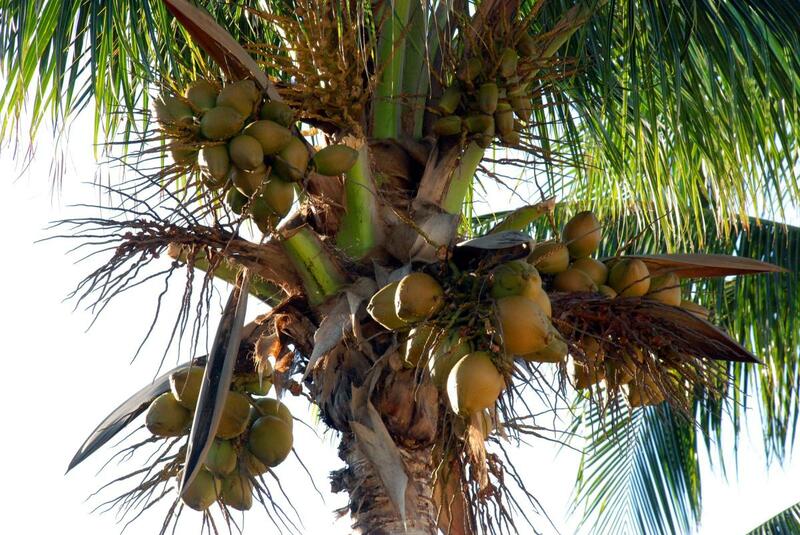 Use the following easy to prepare scalp and hair conditioning treatments which you can customize to meet your own needs. Dozens of anti-aging hints and tips for looking great at any age - from hairstyle, to clothing, to diet and lifestyle changes - learn to be stunning, look younger, and enjoy life at any stage. Normal shampoos are full of chemicals that are hard on the hair, most shampoos are honestly, even many of the organic ones. It's important to find ones without the worst offenders like sulfates. Thanks for reading and commenting. That would be something I am not really qualified to answer, I would probably speak to whoever does your hair for you or your physician. I would definitely not over-shampoo with any product and use the mildest and most natural products you can. Definitely I would steer clear of sulfates and other harsh chemicals. This is a really useful hub. But I would like to ask what special care should a person take if he/she has alopecia(universalis)? Thank you Zoelle, glad you enjoyed it.